The Montagu’s harrier and short-eared owl are migratory birds of prey that winter in India. Both fight for survival in the grasslands of Kutch. 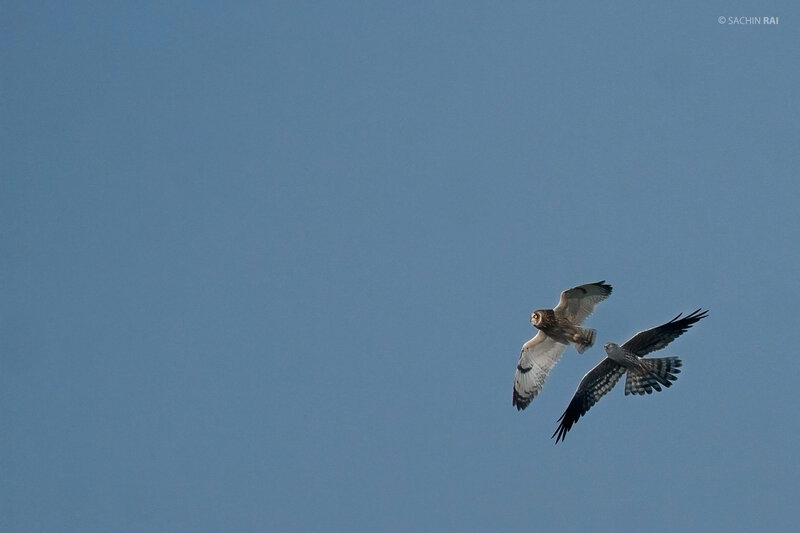 On one of our expeditions, we observed the owl chasing the harrier, who escaped into the shrubs unhurt.